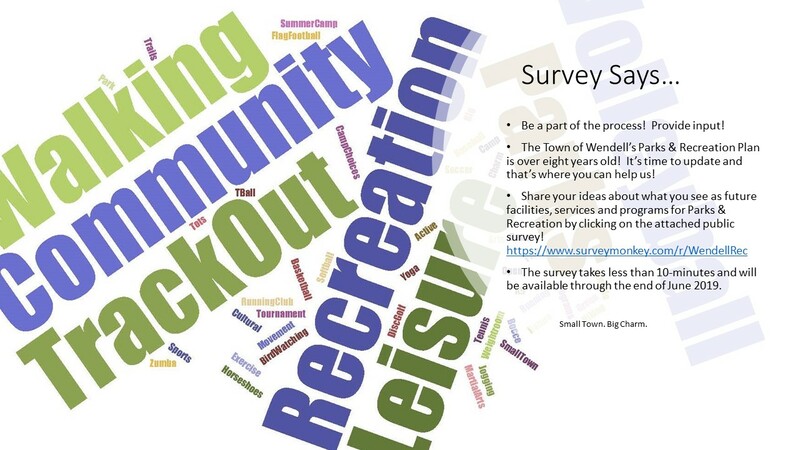 Survey Says.... Help the Town of Wendell Parks and Recreation Department with its Master Plan Update! 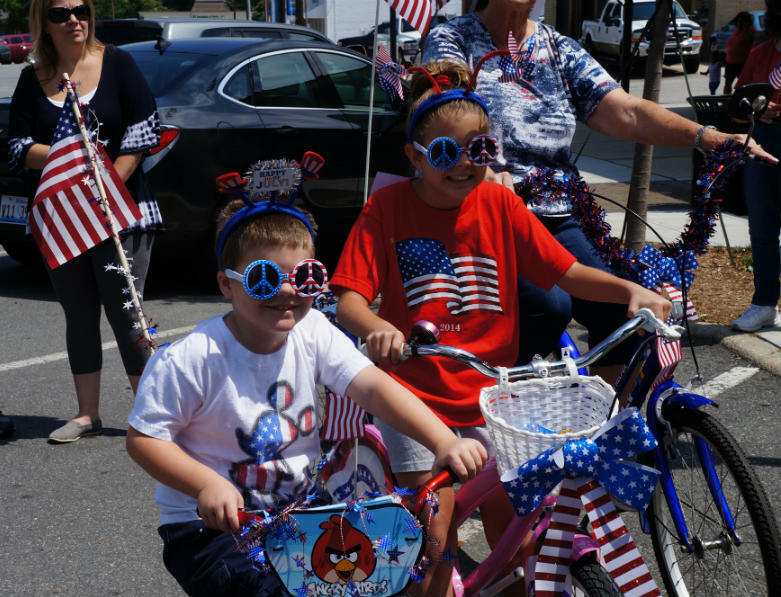 Survey Says…Town of Wendell is growing and we need your help! The Town of Wendell partnered with McGill Associates to update our Parks and Recreation Master Plan. A master plan is a comprehensive process that provides guidance and direction. The process involves examining our vision, existing community services, facilities and resources and assessing future needs concerning parks, recreation, open space, and greenways. This is possible with public input. How can you help with the Town’s Parks & Recreation Master Plan? Share your ideas by clicking on the attached public survey! https://www.surveymonkey.com/r/WendellRec The survey takes less than 10-minutes and will be available through the end of June 2019.